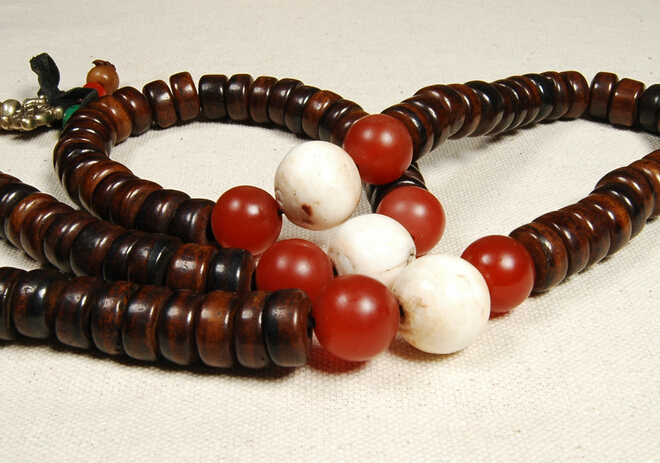 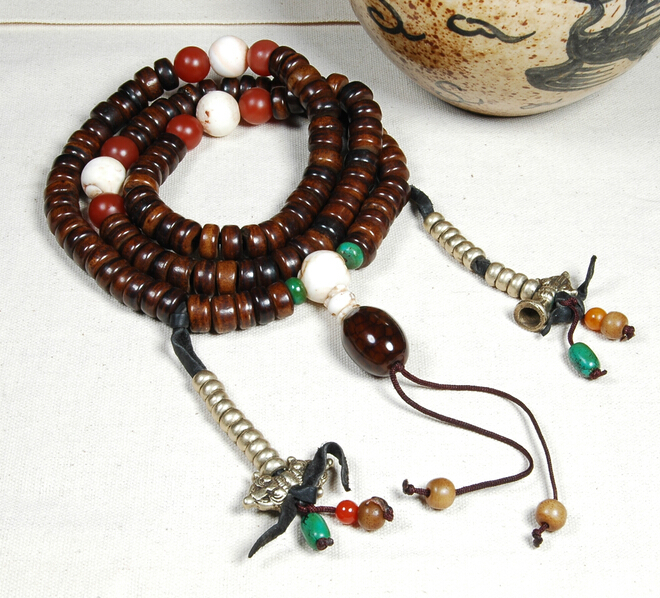 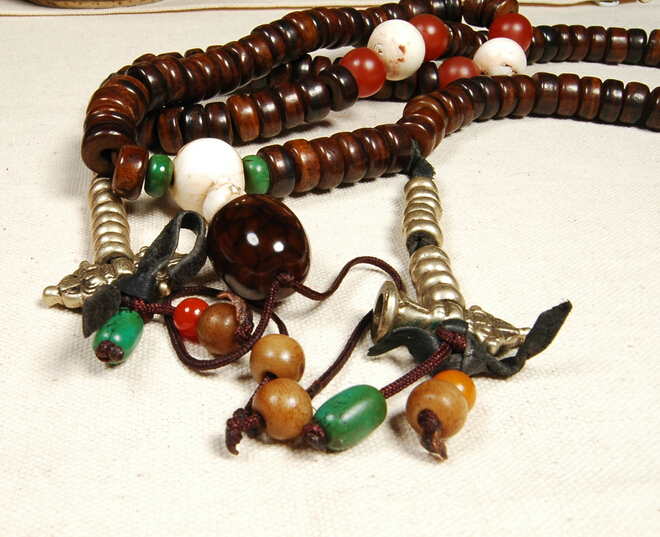 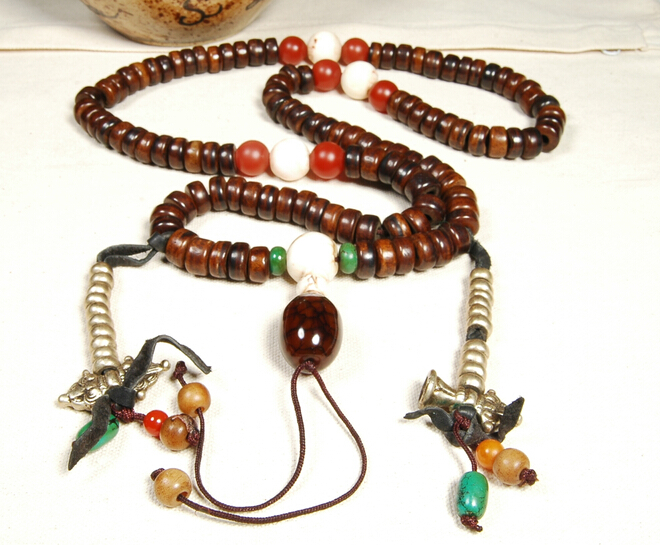 Blessed Tibetan Old Mala Old Yak Horn 108 Beads Mala. 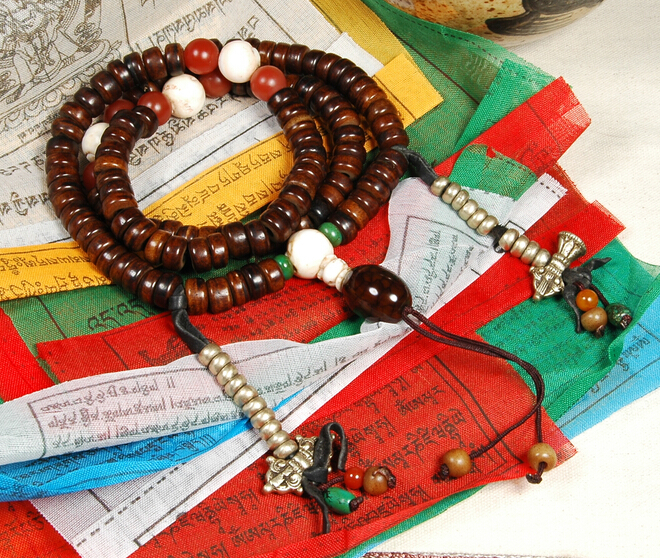 This tibetan 108 prayer beads mala was handmade from Old Yak Horn beads, old tridacna beads, agate beds, turquoise beads and old tibtan copper counters. 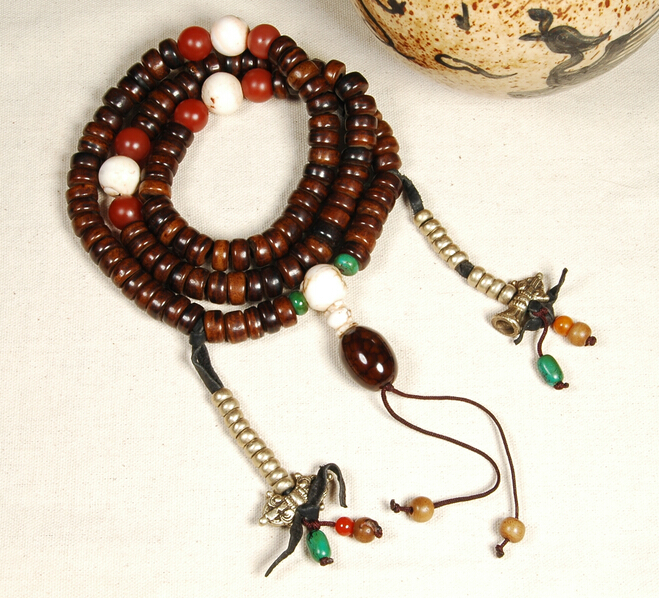 This old mala was blessed by the tibetan people for many years. 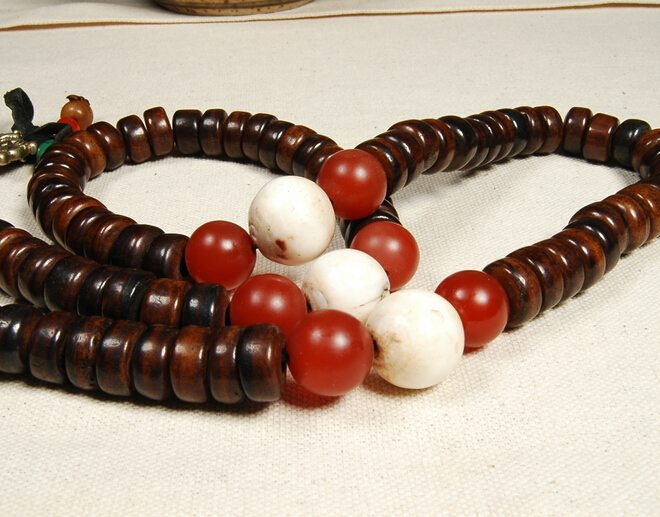 Beads Size: 11mm. 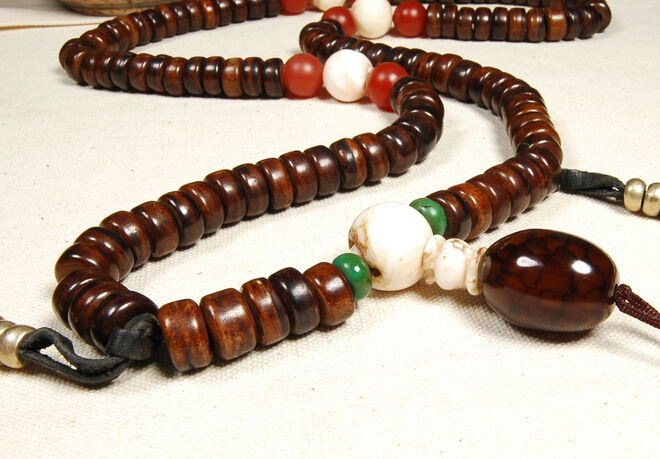 The perimeter of the mala is about 900mm.